Boasting a populous of over 300,000, Belize is not as densely populated as its Central American neighboring countries. The land is diverse and beautiful. Ancient Mayan ruins often have the backdrop of majestic mountains. Secret caves are interconnected, sometimes featuring crystal-clear rivers that wind through jungles. Early settlers in Belize were the Carib and Arawak from South American regions. It is believed that these people made up the beginning of the thriving Mayan Empire that European explorers found during their world explorations. Many of the ancient temples and ceremonial centers are connected to the ancient cultures of the Carib and Arawak. 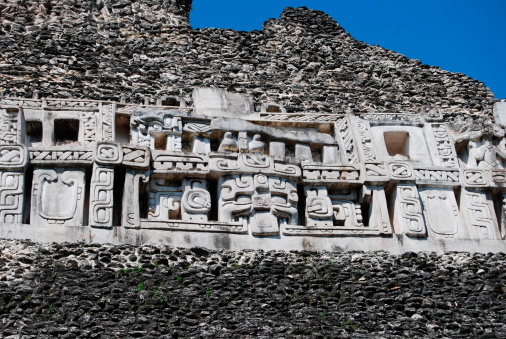 Although records of the European colonization of Belize was sparsely kept, it is recognized that Spanish conquistadors failed to subjugate the Maya. Later, British outlaws, pirates and buccaneers settled on the coasts of Belize in 1638. These settlements expanded, and by mid-century, logwood became a valuable trade due to its dye. British slave traders and owners imported slaves from Africa, Jamaica and the United States to harvest the lucrative logwood dye and mahogany. Due to harsh living conditions and injustice, slave revolts were continual. Slaves that escaped formed tight-knit communities throughout Belize, thus expanding the population. Belize history is marked with wars and territorial disputes by Spain, Britain, surrounding countries and indigenous peoples. Self-governance and independence has always been a constant desire of the people. After many disputes and skirmishes throughout the county, Britain formally claimed Belize as a colony in 1862. One hundred and nineteen years later, Belize gained its independence and was recognized as a free nation. Today, Belize enjoys a growing economy and continual immigration from people all over the world. Belize enjoys a very diverse and intermixed population. Mayan groups are made up of Mopan, Kekchi and Yucatec people. Creole inhabitants are a mixture of European and African groups. Additional people include Metizos, Chinese, Lebanese, German, Dutch, East Indians and other European groups. Belize is home to several languages. Spanish, Belizean Creole, Kekchi, German, Maya, Garifuna, Mandarin and English are spoken in the small country. English is the dominant language. The cultivation and sale of sugar cane is a major source of income to the population. Fruit yields, tourism and fishing industries also provide sustainable incomes for workers. Seafood is a staple due to Belize's location in the Caribbean. However, beans, rice, chicken, beef, plantains, coconuts and indigenous fruits and vegetables make up the diverse cuisine of the locals. Various cultures prepare meals differently throughout the nation. Due to its location near the equator, Belizeans endure subtropical weather that is usually hot and humid. Hurricanes regularly threaten the country.